← What Literary Character Are You? 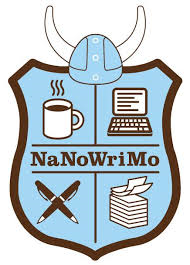 What the heck is a NaNoWriMo, you might ask? Well, we at the library have an answer for you! November is officially National Novel Writing Month, or what is affectionately known to its participants as NaNoWriMo. It is a non profit whose purpose is to inspire anyone who has a novel living inside them to just ignore their inner editor and let the words flow out–the goal being to reach 50,000 words by November 30th at midnight. Although the month is halfway through, you can join at any time…who knows? Perhaps your novel is ready to come out in just ten days–you’ll never know unless you try! If you’re looking for help on how to get inspired or on how to get your writing technique where you’d like it, stop in and check out our NaNoWriMo display here at the Regina Library. We’re always happy to help you on your journey to novelizing bliss! Check out the site, here!